No one questions that in a WoW BG the guy on the top of the meters is much less useful than the one who defended an objective and may only killed 1-2 enemies who wanted to take the objective. Those who link damage meter in a BG are usually ridiculed even among randoms. But most would think that this is a peculiarity of WoW BG system where "death" is nothing more than a teleport to the nearest GY and 1-30 seconds of being CC-ed. But what about a real deathmatch where the enemies must be killed and the dead enemy stays dead? There the guy with 2x more damage is 2x better, right? 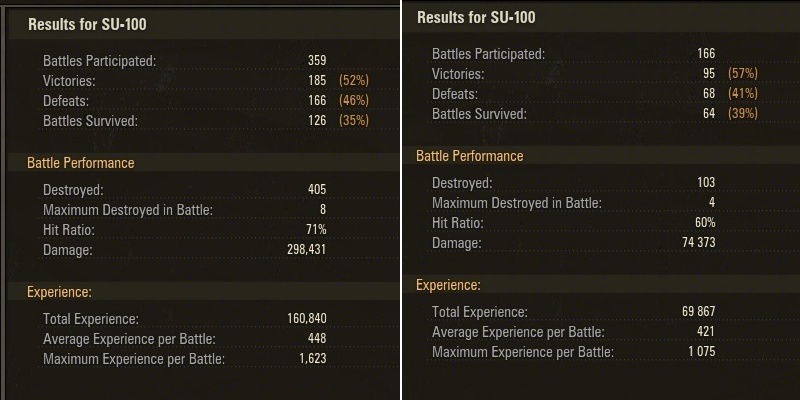 Above you can see my results in the game World of Tanks with the SU-100 tank destroyer on the left and the results of my girlfriend on the right. She only plays this tank in platoon with me, so when she wins, I win. First let's check the personal damage: She has 0.62 kills/battle and 448 damage/battle, while I have 1.13 kills and 831 damage on an average battle. We can clearly say that I'm about twice as "good" as her. Now let's substract her win data from mine to get my solo results and compare it with the results we earned in platoon: 48% win alone and 58% wins in platoon (draw = half-win). Again: I alone, despite my way-above average performance (average is 0.74 kills/battle) my solo win-rate is below average. By adding a below-average player we suddenly get much more wins. What the hell? The solution is in the "low chance critical" situations. Let me show them in an example: The green lines are the main attack lanes. The enemy attacks on the same lanes in the opposite direction. The thin red line shows a "suicidal path". It's suicidal as a tank taking it is easy prey to the tank hiding in the big green dot. However if no one is hiding there, he can get to the base, destroy the self-propelled guns which are glass cannons in the game. He can also start capturing the base, making the people panic and run back. Such situation is usually instant loss. However its chance is low, as it needs an intelligent enemy who is ready to take the risk. The lolkids who run in this lane at the start don't count as they run into the big tanks which are slow and simply couldn't get far enough yet. Only someone who waits for 3-4 mins, has a fast tank and risks being easily killed by a defender can use this tactic. So alone I face the question: shall I wait in the base for that 10% chance event or shall I go with one of the big lanes? If I stay and no one comes, I was practically AFK, so the enemy has good chance of winning in the major lanes and arrive to me in large numbers. If I don't stay and someone comes on the sneaking lane, we lose the match. Every map has such "low chance critical" lanes and each can be deflected by a defender. I usually choose to stay, simply because a tank destroyer isn't really good in attacking. If we add that Tier 6 tanks are the weakest compared to the ones they are matched against, it's no miracle that I couldn't make my side win more often than random. Enters my girlfriend and the situation is solved. She covers the "low-chance critical" lanes while I go on one of the main lanes. She takes out the sneaking ones, and if the other main lane collapses, she can slow the attackers down until I can return to the base or push that lane and capture their base faster. While she has less kills, those kills matter more. Surprisingly this strategy isn't "self-sacrificing" as the game rewards winning very well: her XP/battle isn't significantly lower than mine. Of course this situation wouldn't exists if the weakest non-scout tank would automatically take the defensive position. A Tier 5 KV is "heavy" only in his name against Tier 8 mediums. Yet you can't convince it to stay behind, he will go with the attackers and die first. The reason is obvious: you are not telling a KV tank to not attack Type 59 tanks. You are telling a lolkid to stay out of "fun" and it won't happen. Making the strategic decision usually works. 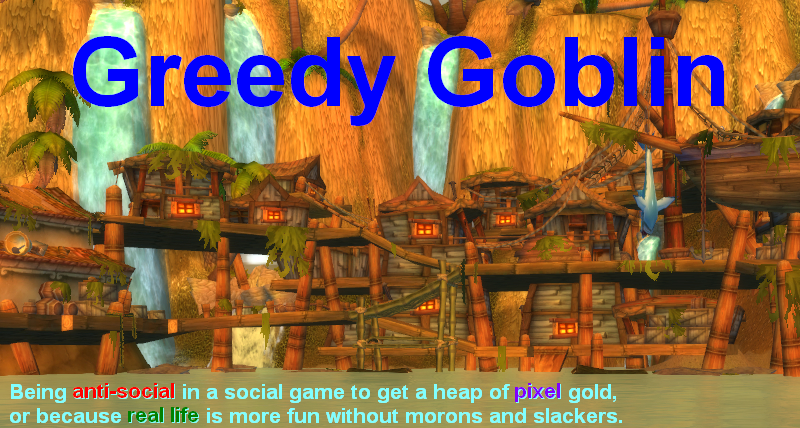 However if you do it alone you can still lose and you are better off running with the zerg and hope. If you have just one intelligent partner, the chances of winning increase greatly. And when I say "greatly" I mean this: This "armory" page shows that she is (we are in platoon) #1236 out of about 600K active players. That's top 0.5%. Not bad from someone with 44% hit ratio and 0.8 overall kill/battle. And no, I'm not boosting her, as I'm "just" #7200. PS: alone do the following: if you are relatively small tank defend the objective. If you are big, go with the zerg and hope. The zerg will miss a big tank much more than a small one. As a arty on this map/side I have each time to remind fellow team members: "Don't leave center open". Just yesterday - few went that way , but started shooting - type59 killed on top and is7 went down the hill jut to die in a minute. Then enemy climbed and you are toasted as a arty. Battle lost. As a KV I remain in defense many times when the matchmaker put me with the big boys , i.m.o. no reason to run around with the speed of a turtle when the map is full of Type59 and all kinds of russian IS. And a lot of times my team scream at me calling me noob cause as a heavy I don't go with the zerg . You have zero chances to explain you are heavy just with the name in such matches. It is a matter of judgement on what the situation requires but as you know the KV is a good tank and hits above its weight. A KV used to defend is generally wasteful and can make a difference in combat with higher tiers. You are right that strategi > killing but only because at the end with strategy you are killing more. I would definitely not take non critical path as better solution often big tank in suicidal route (almost on every map is some) create such big distraction that zerg is almost sure succesfull. It is also sanity check for other team if they dont cover this route they are going to loose 100% and it happen in 30% cases that no one is there. sounds like you should think about making a wot clan, you'd have real fun then with the pvp massacres. Question is would you allow/use voice chat? Thank you very much for this post. I'm always looking for good WoT tips (started coming here years ago for wow, and no longer play, but still sub for the thoughts here which I find valuable) and love this type of statistical and strategic analysis. I think this also goes to show that a vast number of people playing WoT are mindless zergers who just like to see others explode in a pretty fashion.